Think Instagram brows and I believe we can attribute that entire aesthetic to one brow pioneering makeup brand — Anastasia Beverly Hills. Can your brow game get stronger than this? With eyebrows shaped into these arched structures that elevate your face, precise to the point of perfect proportion, you can say it’s practically an art form! And it is. Founder Anastasia Soare would agree. After all, she’s the pioneer of an eyebrow shaping method that takes into account the Golden Ratio, a mathematical ratio found in nature that can be used in art and design to create the most pleasing compositions. “I came up with the concept because in the 1990s, when I started working in Beverly Hills… nobody paid attention to eyebrows!” she says, with clear dismay in her voice. Take it from a beauty expert whose first instinct is to look at your brows when you meet her. I know, scary. That said, she readily shares her struggle with pencil-thin brows, and how she later did a #throwback to her art school days, looking into the Golden Ratio theory to develop her patented method — think of it as art history meets makeup. “I didn’t even charge the clients because I was just trying to figure it out myself. It then progressed to working on a lot of Hollywood celebrities in the early 90s, which validated my work; it was like the best kept secret in Hollywood,” she says. 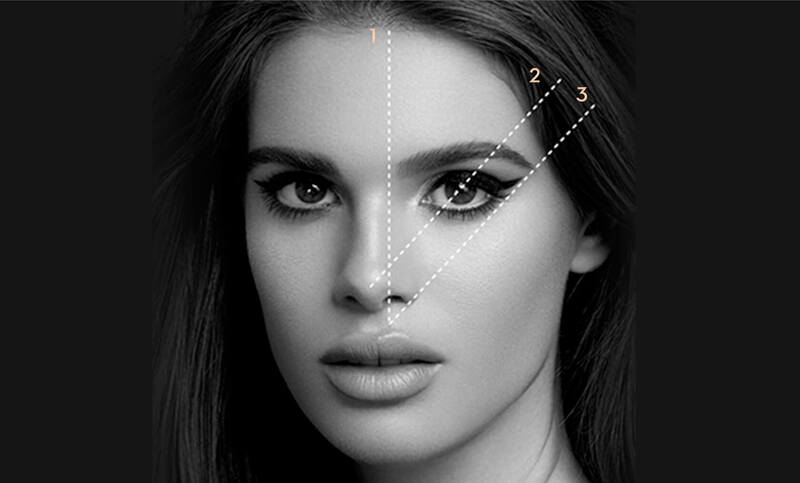 Here, proportion is key — you start by mapping where your brows begin, end, and where the highest point should be. You can even take into account the height of your forehead. All these culminate in the most flattering, on fleek brows that are personalised for your features. The brand’s launch in Sephora in early November certainly drummed up a lot of excitement, simply because, for the longest time, beauty junkies this side of the world had to be content with shipping over our stash of Dipbrow Pomades and Brow Wiz pencils, or stocking up on the eyeshadow palettes when we’re overseas. We should all be really pleased now. If you’re still a little clueless about the method though, here’s a quick tutorial for the ideal “Anastasia Beverly Hills” brows. 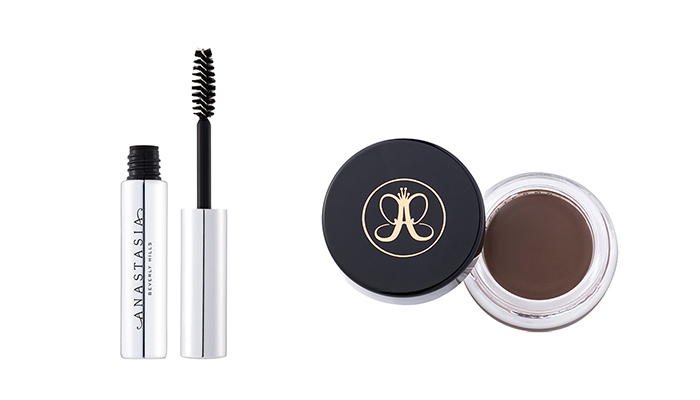 Read on for more insight and tips from Anastasia Beverly Hills founder, Anastasia Soare. Since this is a new brand in our local Sephora stores, how would you introduce Anastasia Beverly Hills to people who haven’t heard about it? Not that we haven’t, of course! We started with eyebrows. I developed an eyebrow technique based on the Golden Ratio, teaching consumers the best eyebrow shape according to their bone structure and natural eyebrows. 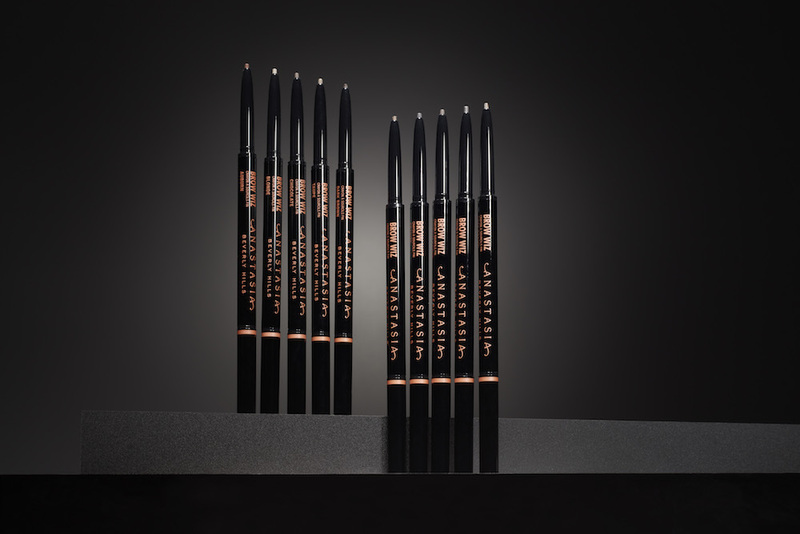 We have a wide variety of brow products, from pencils to powder to pomade, highlighters, brushes and brow gels — a full range. A few years ago, we also expanded into contouring, based on the same theory of the Golden Ratio; we created our own contour kit, highlighter kit, then eyeshadow. Basically, the whole theory stems from why we use makeup — that was the question I would ask my daughter and the people I work with, like you guys. Everybody needs to understand why we use makeup! It goes back to how you use colour: dark colours to minimise certain parts of the face, and light colours to emphasise others. 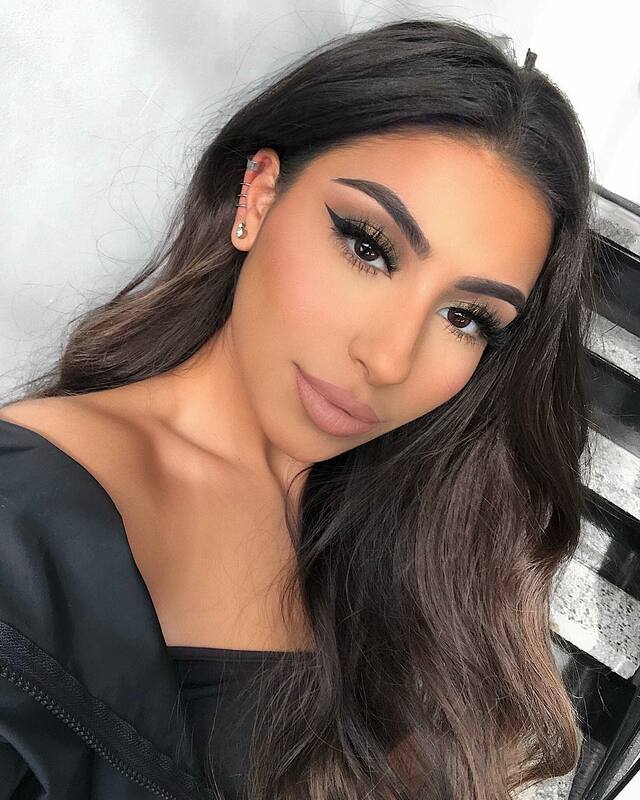 So, by contouring, shaping your eyebrows correctly, and using eyeshadow, you create this illusion of perfection with your face, the perfect balance and proportion. What are some of the first products you created then? I created a lot of products — the pencil, the powder, a pomade, but an earlier version because technology wasn’t as advanced so there wasn’t a waterproof formula. The tweezers, scissors, highlighters, brow gels, so I had a lot of first-time products which were launched in 2000. Which ones took you the longest time to develop, or the most effort? I think all of them took a long time because I wanted to have the right colours. Eyebrow colours are very difficult to match because you need to take into consideration the hair, the eyebrow colour, and the skin tone. You know, a powder could look blonde, but when you apply it, it could be too red or too green, so it’s very difficult for them to work perfectly. 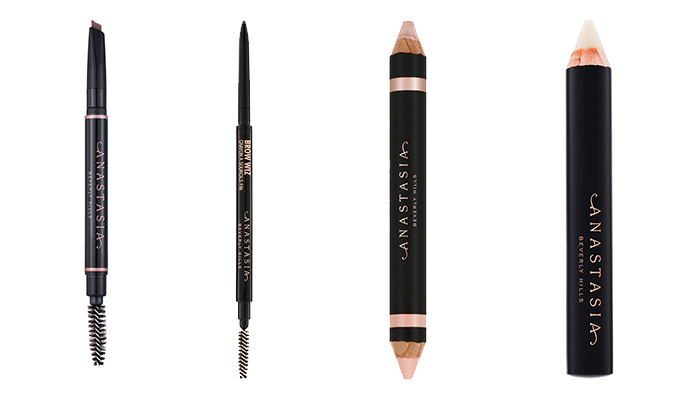 What are some of the must-have Anastasia Beverly Hills products? All of them! [laughs] But to name a few, for brow products, you could have a Brow Definer or a Brow Wiz, it’s an easy introduction to the line. 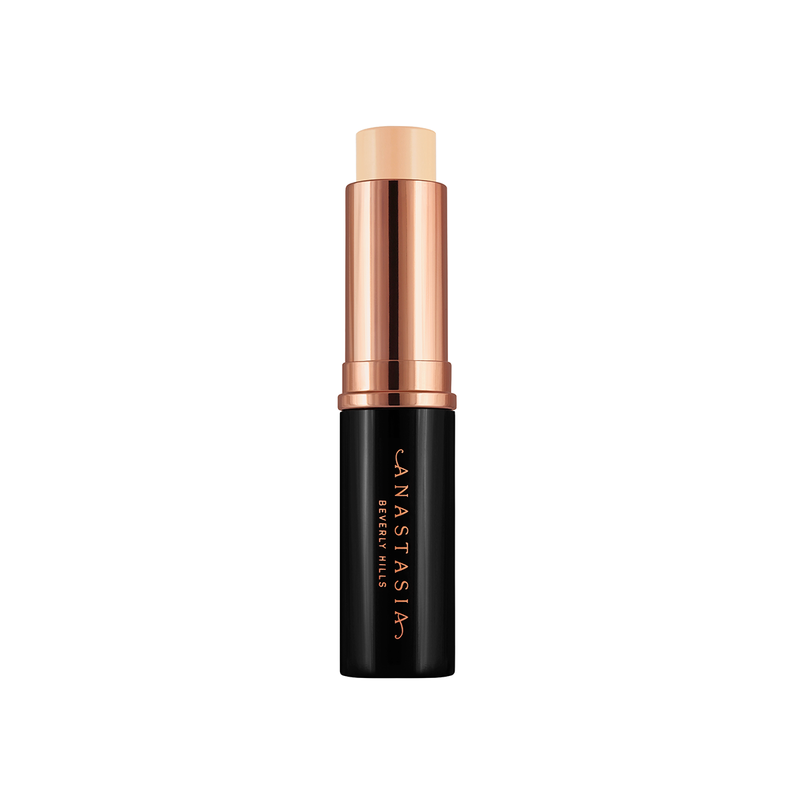 Then you could have a highlighter — I love the Highlighting Duo Pencil, it defines the eyebrow and gives it a beautiful clean look. For Asian brows, I think the Brow Fix Primer, the wax, is very good because it makes it easy to control the direction of hair growth. Then, The Original Contour Kit is great. The highlighter, I know you guys you love it, while the eyeshadow palettes are amazing with beautiful payoff, beautiful colours that are blendable and last all day long. The liquid lipsticks as well! I always carry the Brow Wiz and liquid lipsticks with me, those are my staples. Would you say there’s an underrated product that you wish people knew more about? I think the Stick Foundation is amazing. It’s very good for combination or oily skin and it’s really amazing because you can build it up — you can go from a very natural look to a stronger and heavier look. And it’s very easy to use. Is there anything from the holiday collection that you’d like to share? Yes, I’ll show you! This is one of my favourite lipsticks, I’m going to use it tonight at the launch party. This is the Phantom [from the Mini Metallic Liquid Lipstick set]. It is so good. I like to use the liquid lipsticks, the shimmer ones because they give a nice beautiful metallic shade. The Phantom is uh-may-zing! And it stays! You spoke a bit about the Golden Ratio theory and how you developed an eyebrow shaping method based on that — it’s even patented! How did that come about? I came up with the concept because in the 1990s, when I started working in Beverly Hills doing facials and body waxing, I realised that nobody paid attention to eyebrows! When I was in Romania, before my facials, my aesthetician would tweeze my eyebrows, but I realised after looking at my college pictures that she had tweezed them too thin, into these round, pencil-thin eyebrows which made me look very surprised. My face looked too round and full! The shape wasn’t correct. Then, I remembered my art teacher saying that if you want to draw a portrait and change an emotion on the portrait, change the eyebrow shape. I started going to the library to revisit Leonardo Da Vinci’s use of the Golden Proportion of the body, and slowly started developing the technique on eyebrow shaping. In the beginning, I was applying the mathematical formula and practicing on clients for almost a year — I didn’t even charge the clients because I was just trying to figure it out myself. It then progressed to working on a lot of Hollywood celebrities in the early 90s, which validated my work; it was like the best kept secret in Hollywood. How would you define a good pair of brows then, and what’s the best way to achieve them? The best way is to establish where your eyebrow should begin, where it should end, where the highest part should be. You could use a stencil as a guideline in the beginning, to learn what your perfect shape should be. You need to have the length of the eyebrow, that’s very important. And it’s different for every individual as well right, with different facial proportions. It’s kinda unique that way. Exactly. Some people have a stronger brow bone, some not that strong. Even the length of your eye, everything will dictate where your eyebrow should end. I encourage women to not be afraid to practice, because at the end of the day, it’s just makeup. You make a mistake, you clean it, and you start all over again! 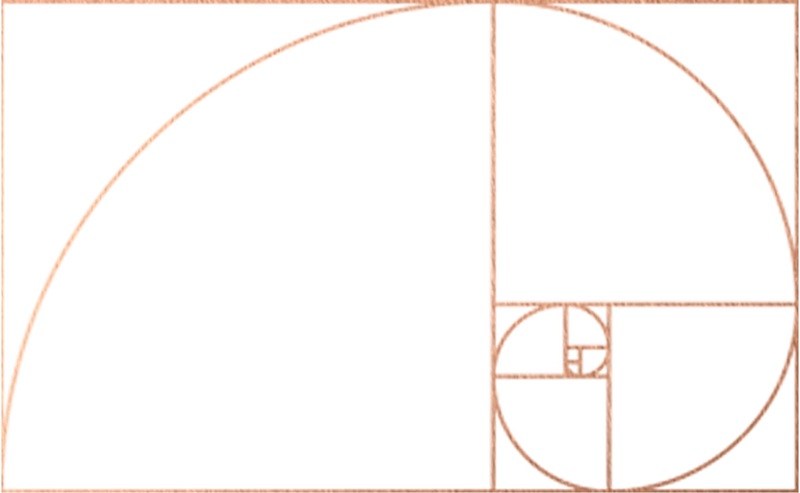 How exactly do you apply the Golden Ratio method then? You start by mapping and marking out where your eyebrows should be. They should start above the middle of the nostril, you use the Brow Wiz to measure and mark that spot. For where they end, imagine a straight line from the outside nose corner and through the corner of the eyes. For the highest part of the eyebrow, or the arch, line up the tip of nose with the middle of the iris. Those are the 3 important areas. Are there other tips from your makeup demonstration that you can share? You can divide your face into 3 horizontal zones, and keep them in balance as much as you can. Those with high foreheads can arch their eyebrows a little higher, and make the tail a bit longer to minimise the forehead. When using the Dipbrow Pomade, I like to drop a small bit of facial oil in it before I close it, to prevent it from drying up when exposed to air. It takes about 30 seconds to apply and blend the pomade. The goal is to create small strokes of hairs to make the eyebrows as natural as possible. Go in the direction of hair growth, only barely touching the skin, which will look very natural! Everything should be kept lightweight. Is there an essential brow step that you feel most women miss out on? I mean, I look at eyebrows all the time. It’s the first thing I look, and within a few seconds I want to say “omg you missed this”, “this is tweezed too much”, they are too straight, too short, too long… but women right now, they have access to social media. They learn so much, especially the millennials. That’s what I like about millennials — they are not afraid to learn, to search, to experiment, and I love that about them. They are not afraid. I think the older generation is a little afraid of trying things but not the young ones. Would you say your brand caters to younger people, especially with such a huge following in Instagram? Yes, our demographic’s like 16 to 24 years old. You know, my daughter and I, we’re still handling the Instagram account. Nobody else does! We have people in the company who would handle the other platforms, but Instagram? It’s just us! It’s important for us to have that connection with our followers. I need to know what they want, what they think, what they like, what they don’t like. This is the only way you can stay true to the brand, and make products they want. So do you reply DMs on Instagram as well? That personal access is so rare for a brand of that scale! Is it sometimes tiring though to have to personally maintain the account? Are there things your followers say online that you would incorporate into, say, the next makeup launches? Oh, all the time! My daughter would ask, what do you guys want to see on loose pigment — what colours, what don’t you like, tell us! Then we go through the comments and whatever the popular shades are, we will come up with those! This is what they want, it’s important to us. When you first started out, you had to build the brand from scratch. What advice would you give to fellow female entrepreneurs out there? My advice to them is before you do anything, whatever it is, do your homework. Sometimes it appears way easier than it is, so by going and working for a company that does what you want, you learn a lot. Do your homework, build your experience. It’s not that easy, I mean, I started without knowing anything about the industry, and it’s a long process because I needed to learn from my mistakes, but it would be a lot easier for people now if they go and work in a company where they could learn, and if they feel like they want to try it, they could do it. 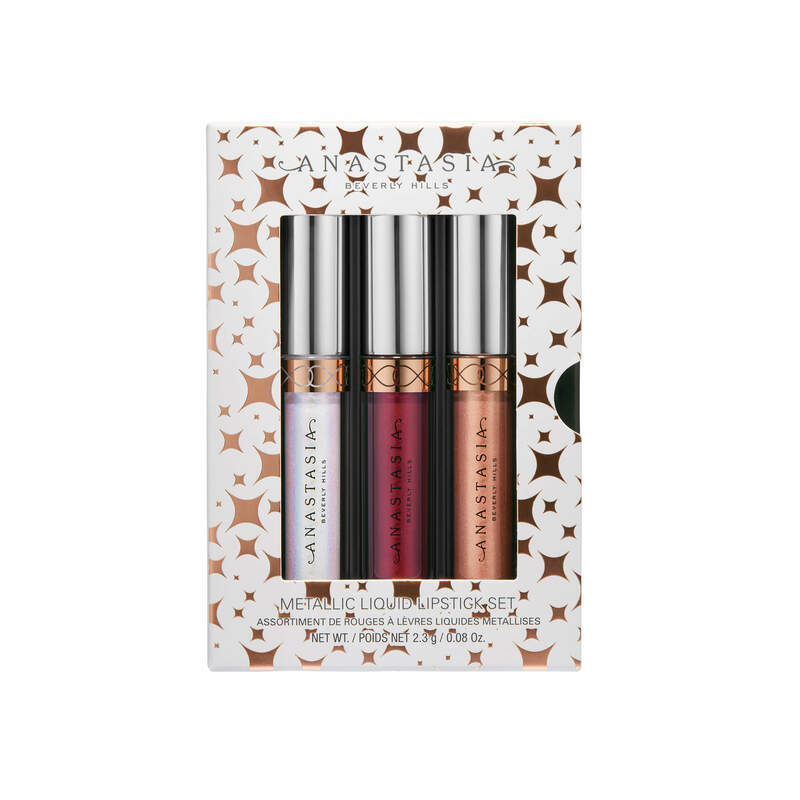 Anastasia Beverly Hills, available at Sephora stores and online.